Amazing Charleston Style Home in one of the most sought after neighborhoods in Peachtree City! Can easily convert to a 4th bedroom on main! 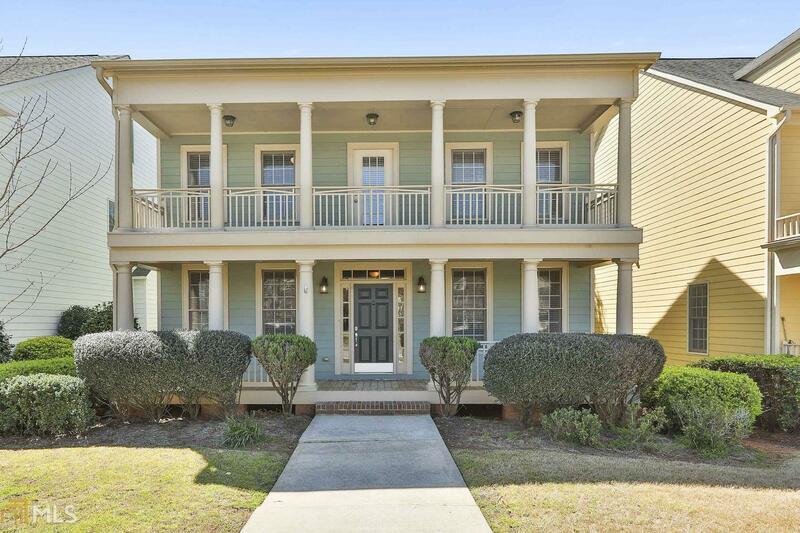 From curbside to inside,relax on the front porch.Enjoy the view of the green! Beautiful hardwd floors, a cozy front rm/office or 4th bdrm, lovely dining rm. Thru the archway, opens to the large kitchen, Butlers Pantry, huge gathering island, Lg breakfast rm. Opens to cozy great room & beautiful FP looking at the sprawling deck. Upstairs Owners suite w/spa, 2 add&apos;l bdrms & open Great Rm. Well maintained, it feels like new construction. 2 car garage + add&apos;l parking pad. New interior & exterior paint! Waterslide pool/tennis. Prime location in the heart of our town w/direct cart path access to schools, restaurants, & Shops! Directions: From Hwy 74s, R On Hwy 54, R McDuff Parkway, R Into Centennial. Home Is Located On The Right On The Row.